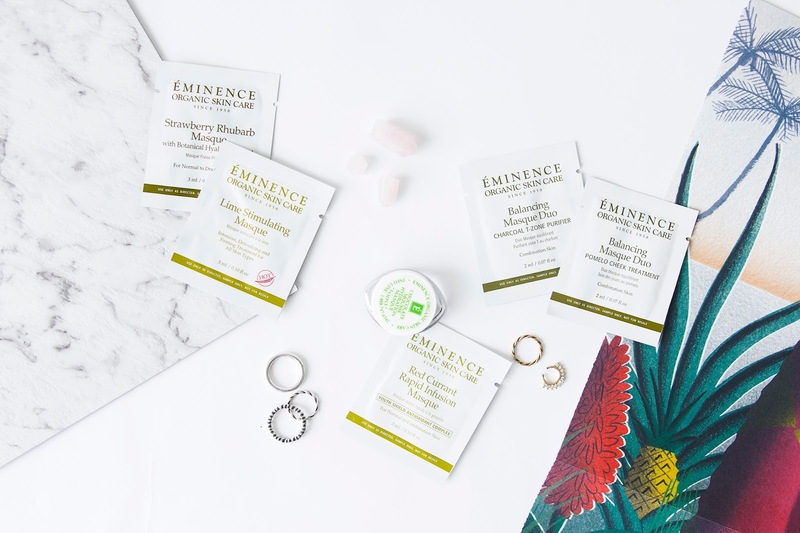 The lovely people over at Eminence sent me a bunch of samples, including a heap of face masks, which made really excited. 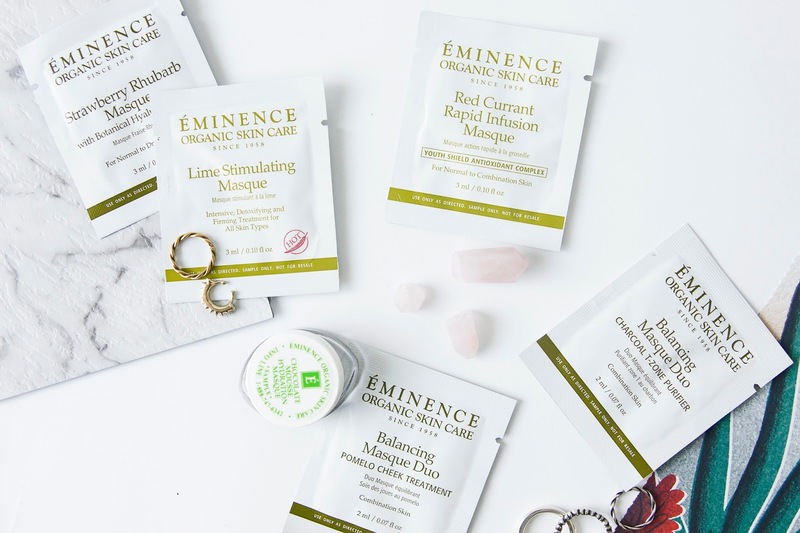 Eminence are an organic skincare brand that produce high quality, organic products. They have products for all different skin types, and their products have even been used by the likes of Madonna and Jessica Biel. I tried out a bunch of the masks and wanted to share my thoughts on them. A mask that involves two different types in one is something I'd never seen before but I loved this. This mask offers one treatment for your t-zone area and another for your cheeks - which totally makes sense, especially for those of us who have a tendency to get oily skin, as those parts of your face can have quite different complexions and needs. This mask aims to help reduce pores, decrease oiliness and keep your skin smooth and hydrated. It also looks quite fun as the t-zome mask is a darker grey while the cheek mask is white, so it makes for much interesting and dorkier face mask selfies. 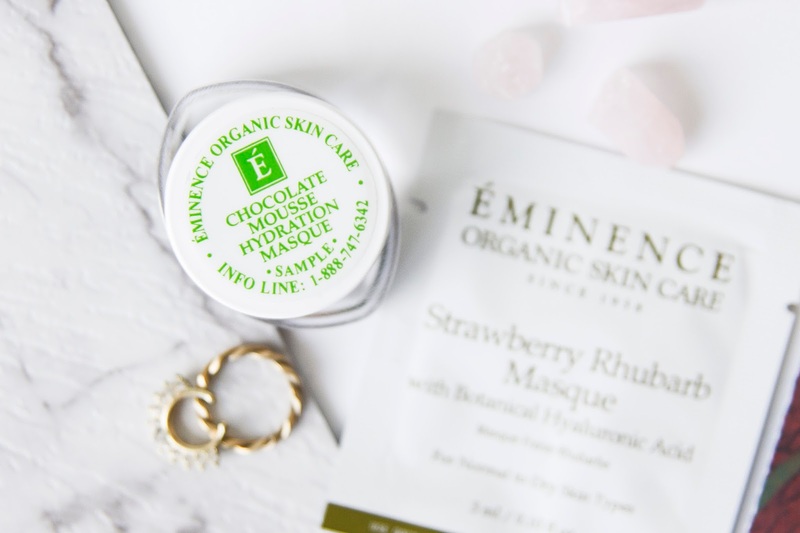 This mask honestly smells so good you'll want to eat it. This mask comes out pink in colour and even has small red chunks of what I guessed must have been the rhubarb, which you might think would look or feel a bit weird, but it made it feel even more luxurious for some reason. This mask is for normal to dry skin and contains botanical hyaluronic acid which helps ensure deep hydration of your skin. 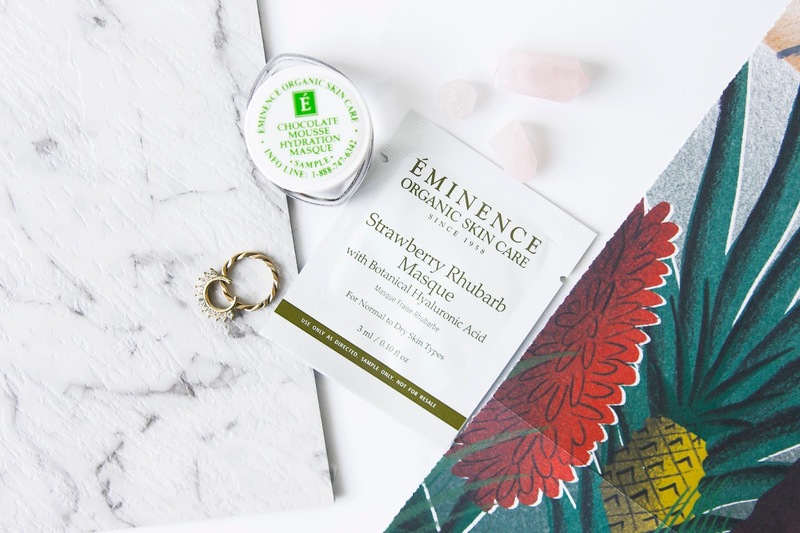 The natural salicylic acid from the strawberries helps make your skin feel really clean and soft, and the rhubarb is perfect for giving your skin a Vitamin C boost and will help with healing anything on your face. I used this after a night out and my skin felt so much better afterwards. If I thought the Strawberry Rhubarb Masque smelt like you wanted to eat it, this masque takes that to the next level. This stuff quite literally smells and looks like you're putting chocolate on your face. Because you literally feel like you're putting chocolate on your face it feels a bit weird, but also awesome at the same time. This mask contains macadamia, almond and jojoba oils which give a deep hydration treatment. This mask is perfect for normal to dry skin and after using this stuff my face felt so soft and smooth. Again I can't stress enough how much it made me feel like I was just putting chocolate all over my face! The fact this was labelled 'Hot' had me scared to try it for a while. If I had to pick one I think I would say this was my least favourite. This mask really did heat up on my skin and it was a bit uncomfortable. I thought about just wiping it off because I was honestly a little worried how my skin would go but I stuck it out until the tingling subsided. I then left it on for a little longer before washing it off. Because it does heat up and react on your skin, your face is going to be quite red for a period of time afterwards, so make sure you're not using this before planning on going out anyway. 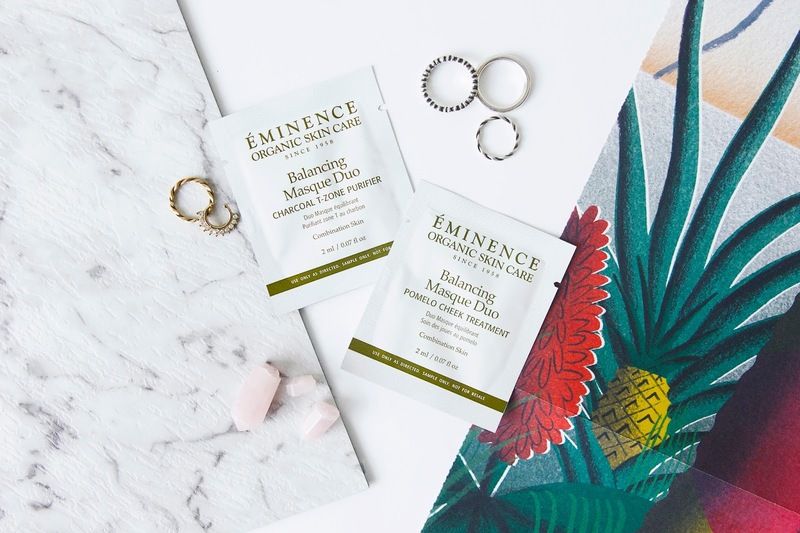 The point of it heating up so much is that it's meant to be an intense detoxing and firming skin treatment; so while in the moment it feels terrible for your skin it's actually quite great for it. By really stimulating your skin it helps slow ageing and helps keep your skin soft. This isn't one that I think needs to be done all the time, but every now and then it would probably be a good kick in the face (quite literally) for your skin. If you have quite sensitive skin however I'm not sure you're going to get along great with this stuff. Honestly I have nothing bad to say about this mask either. 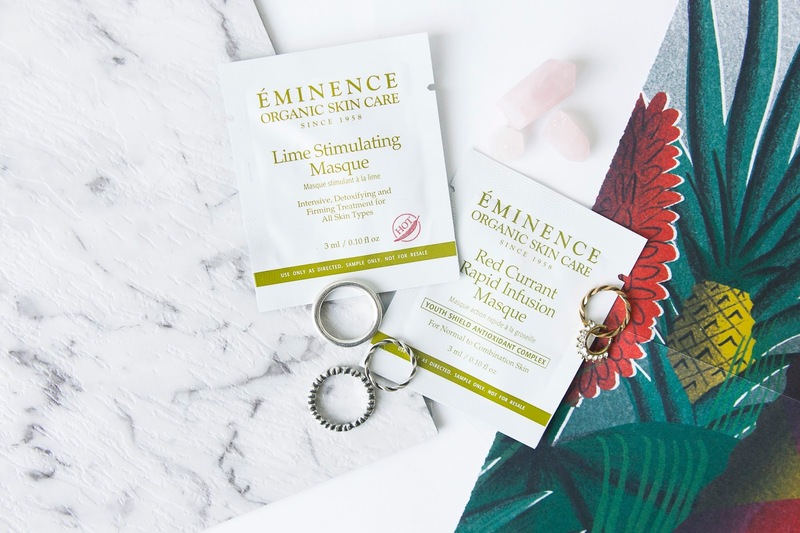 Containing red currant, grape seed oil, natural AHA cocktail derived from fruit extracts and tea tree oil, this mask aims to keep you looking young and hydrated. Like all the others, this mask left my skin feeling so soft and smooth afterwards, and you feel so glamorous and pampered with them on.